Hello my lovey readers 🙂 How’s everything going? 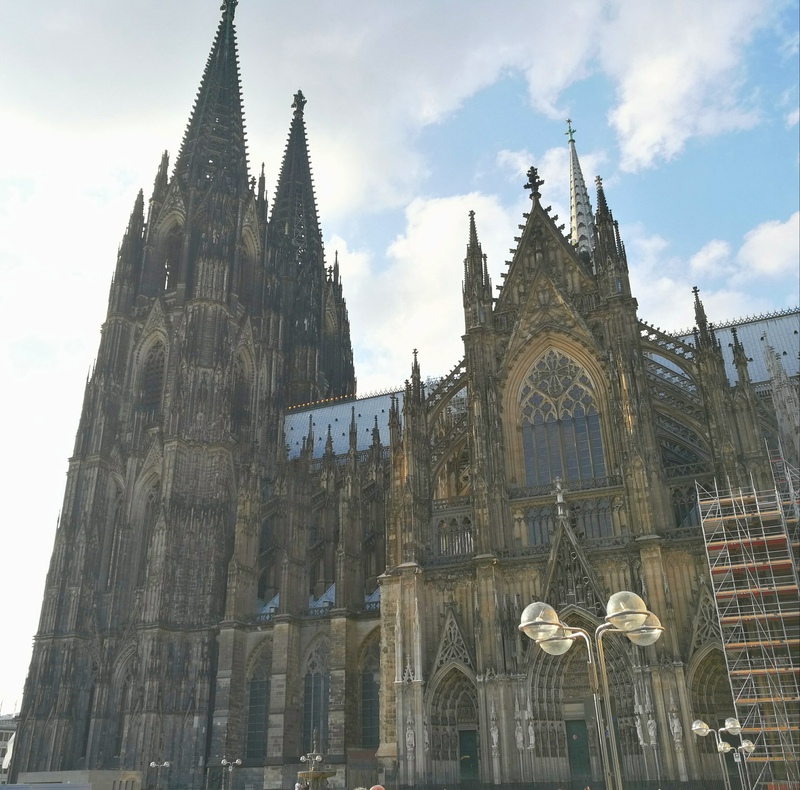 Today I want to share with you the pictures I took during the day I spend in Cologne during my trip to Germany. 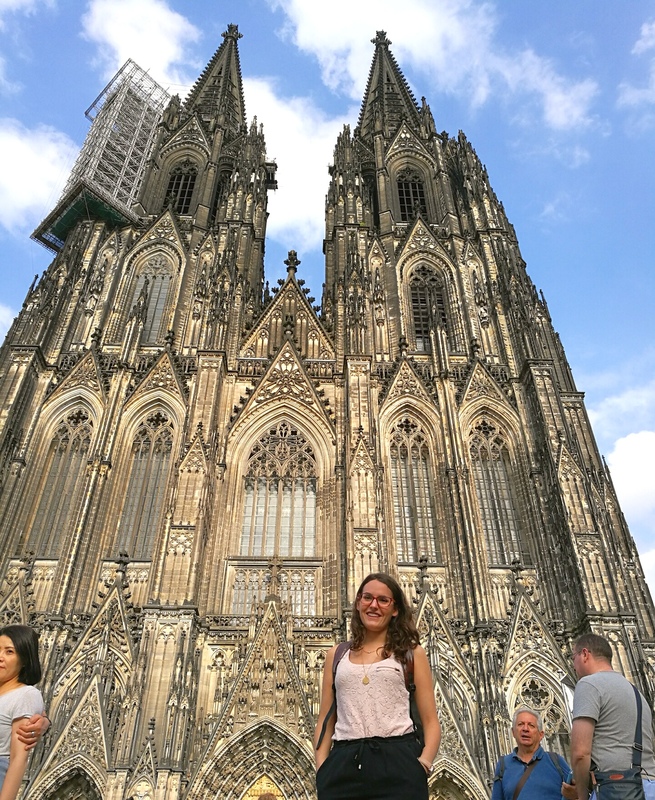 Cologne is located in the middle west part of Germany and it’s one of its biggest cities. 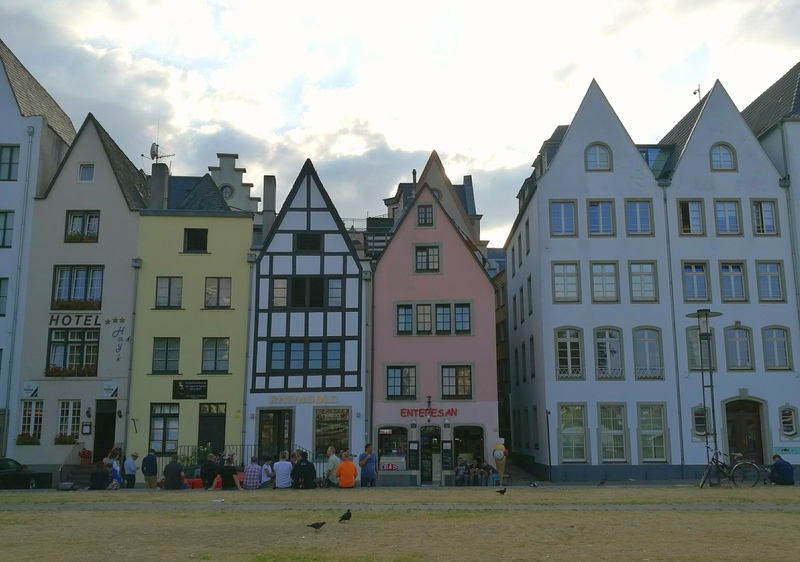 Hoy quiero compartir con vosotros las fotos que hice en el día que pasé en Colonia durante mi viaje a Alemania. 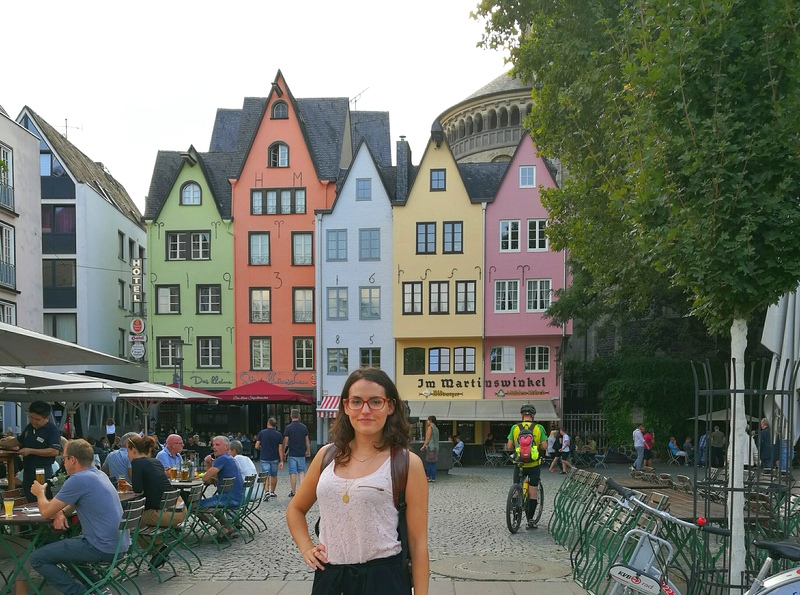 Colonia se encuentra en el medio oeste de Alemania y es una de sus ciudades más grandes. 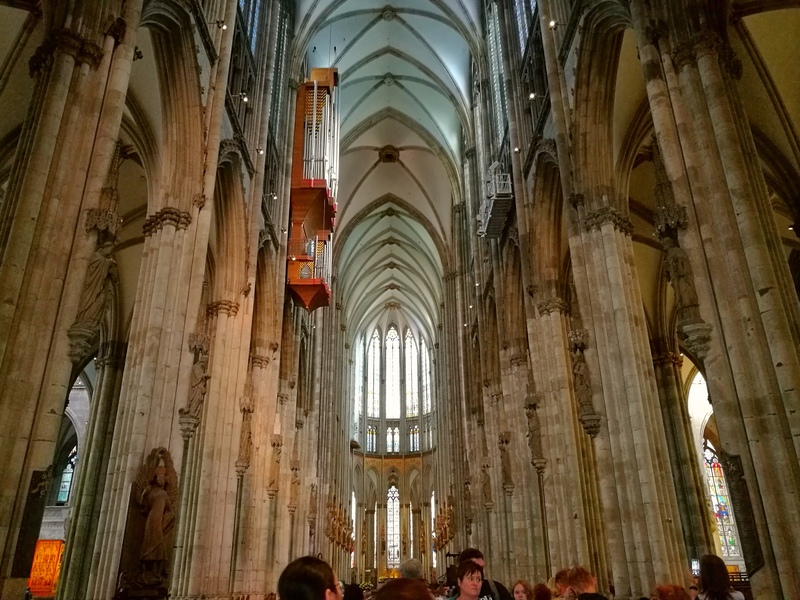 The first thing we visited was Cologne’s cathedral. This Gothic cathedral is a World Heritage Site. It’s currently the tallest twin-spired church. 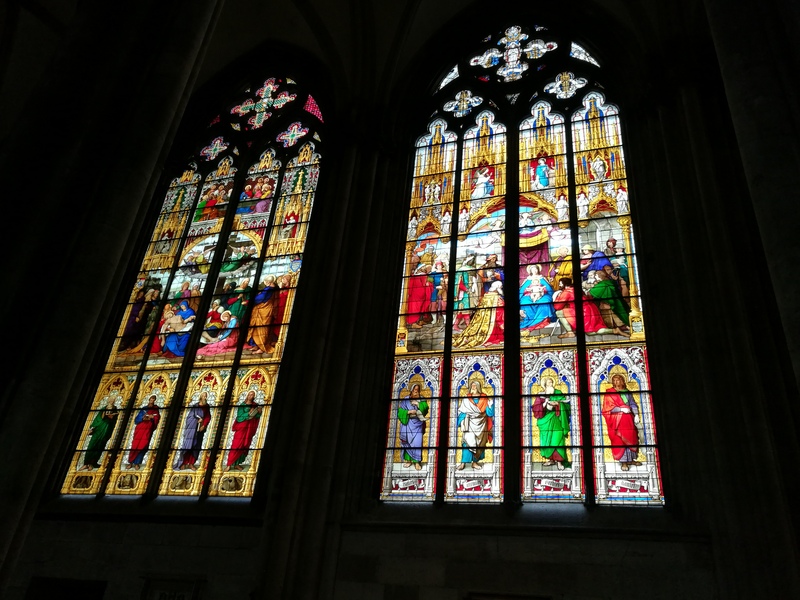 I loved the beautiful stained glasses and how tall the ceilings were. Lo primero que visitamos fue la catedral de Colonia. Esta catedral gótica es Patrimonio de la Humanidad. Actualmente es una de las iglesias más altas. Me encantaron sus hermosas vidrieras y la altura de los techos. Then we went walking to the The Hohenzollern Bridge, which is a bridge crossing the river Rhine. 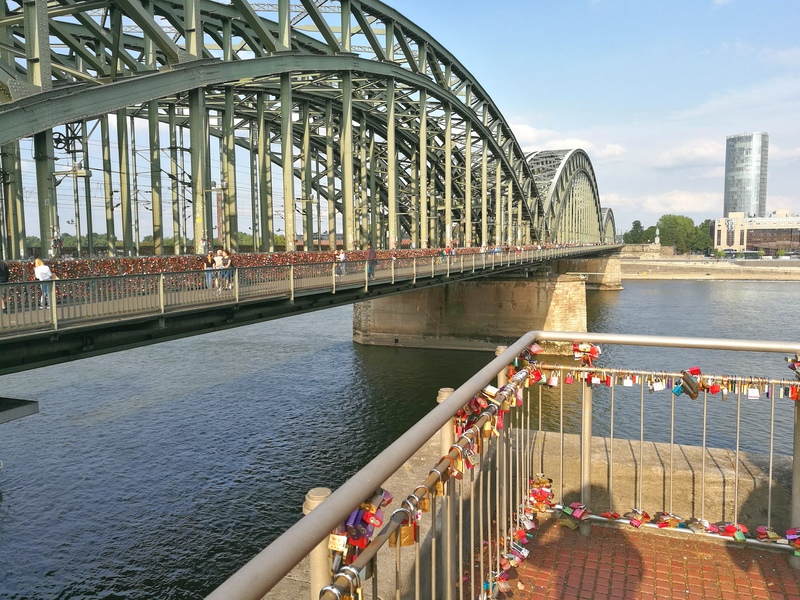 The bridge is full of colourful “love locks”, there are more than 40.000 locks in this bridge. Luego fuimos caminando hacia el Puente Hohenzollern, que es un puente que cruza el río Rin. El puente está lleno de coloridos “candados del amor”, hay más de 40,000 candados en este puente. 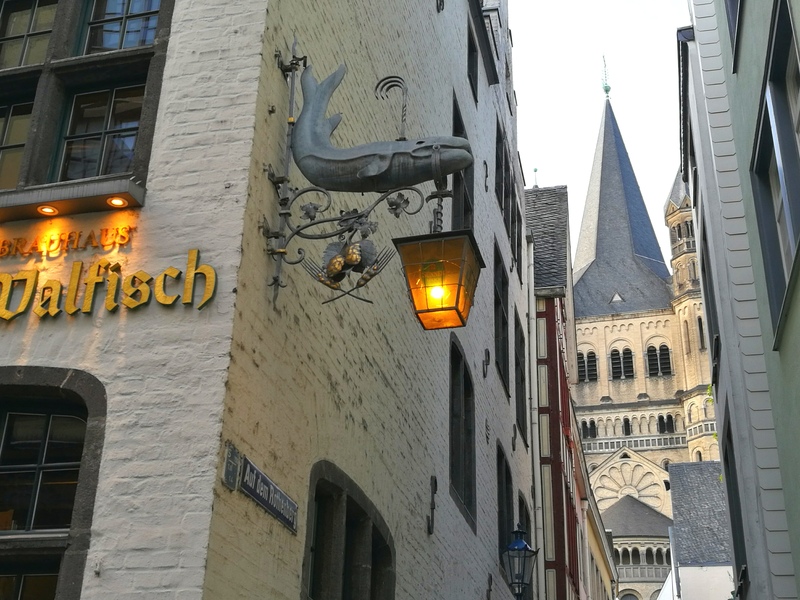 Then we decided to have a walk next to the river and we arrived to Cologne’s old town. This is was my favourite part of the city, it’s has cute and colourful buildings all around and it’s an area full of life. Entonces decidimos dar un paseo junto al río y llegamos al casco antiguo de Colonia. Esta fue mi parte favorita de la ciudad, tiene edificios muy bonitos y coloridos alrededor y es un área llena de vida. 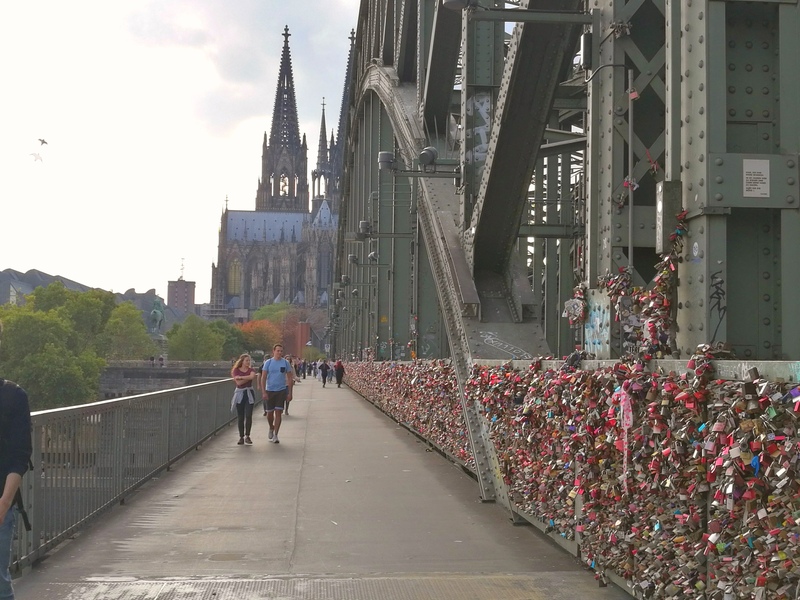 Have you ever been to Cologne? Have you ever been in Germany? ¿Has estado alguna vez en Colonia? ¿Y en Alemania? I love Cologne! I did a walking tour of the center and learned so much about its history! Reblogged this on Blogging about all things. I’ve never been to Germany but this makes me want to go even more! Amazing.. All the photographs are lovely.. Excellent piece of work !!! ich wunsche dir alles gut zum bloggen . Yes, I was in Cologne for the Christmas market some years ago, and I also visited other places in Germany. Love your pictures! Those cathedrals are gorgeous!